LCC President Tim Hetzner spoke at the LWML Zone 2 and 3 breakfast at St John Lutheran Church in Niles, Illinois. What a wonderful group of ladies! LCC K-9 Comfort Dogs Strudel and Chloe were there to meet everyone. LCC K-9 Comfort Dogs in Training Dora, Eddie, Lydia, Noah and Shiloh were also there to practice their meet and greet skills. 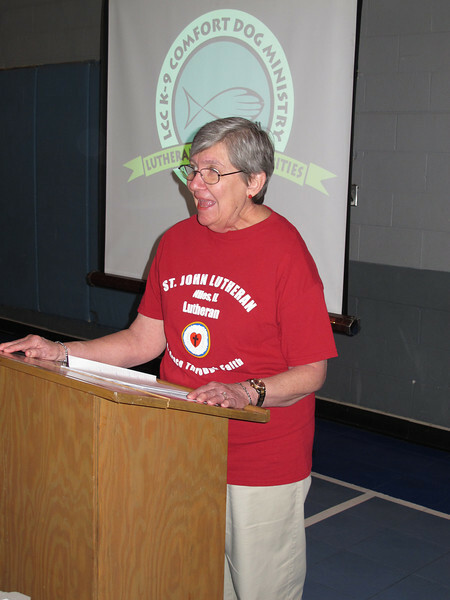 Thank you, LWML and St John, for inviting LCC to your morning!